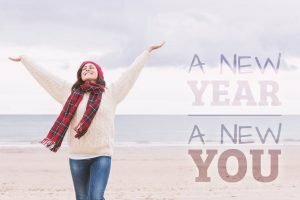 With the new year right around the corner most people are focused on personal improvement, new goals or beginning new habits. But this year could be the year for you to take the time to make positive resolutions to refocus on career advancement. In 2018, invest energy into choosing realistic goals that require going outside of your comfort zone and pushing the limits. Acquire a new skill that may fill a gap for lateral movement and seek to improve upon areas that need more attention. Putting yourself in the best possible position to achieve, puts you in control of the outcome. Implement helpful tricks to organize your life, workspace and mindset. Start each day of the new year with a fresh mind by clearing out the clutter that life can sometimes bring and figuring out a way to keep yourself efficient and productive. Prioritize small moments of organization, whether it be through keeping a steady workout regime to clear your mind or ensuring that your desk is tidy at the end of the day. Find balance. Health and happiness go hand-in-hand with achievement and hard work. When you believe in the work that you do and wake up enjoying the life you live, success will follow. 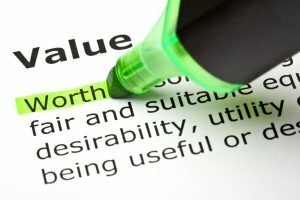 Never Under Estimate Your Value! Confidence within the workplace is key to a successful career, and a portion of such confidence is the power that comes with knowing ones true value. Social interactions, energy and attitude play a major part in how people interact with one another in the workplace. Positive interactions are driven by value-led thoughts. Believing that you have what it takes to make a powerful impact in your role and not accepting less than what is deserved solidifies the understanding of your self-worth. Have the confidence to say what you want because you know it is earned but also, have the humility to realize unrealistic expectations. Evaluate who you are and who you want to be, while celebrating your accomplishments. Prioritizing your commitments and personally valuing who you are will translate into value in any situation. 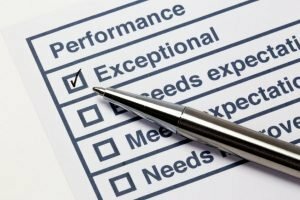 Performance reviews – a historically dreaded time in the office. Understanding how to take advantage of the review process and what personal and organizational improvements can be made will help both managers and employees alike to develop as an employee and contribute more to the company. Meetings between manager and employee allows for the construction of individualized plans geared toward success. Not only do these conversations open a clear line of communication and transparency but they align company and employee goals and strategy. Setting goals that are smart, measurable, attainable, realistic, and timely (S.M.A.R.T.) allows employees to prioritize their work in the coming months based on personal and company goals. And while performance reviews provide managers and employees the chance to speak openly about position performance, no review should come as a surprise. Employees should be aware of their strengths and weaknesses beforehand allowing the time allotted for a performance review to be focused on goals to improve or further success. The categories that are being evaluated must be clearly outlined to establish a clear line of expectations. After the performance review, managers should take the time to review their notes that were taken during the meeting. Rather than stuffing the file into a folder and storing until the next performance review comes up, taking the time to map out a timeline of the milestones that the employee must hit to be considered successful is important to continue departmental success. This practice will not only provide managers the ability to map out their expectations, but it will also provide an insight into practices within the office that may require more focus. One-on-one reviews are great to establish relationships between managers and employees; however, creating a system that allows the department to anonymously submit general feedback and personal role evaluation allows the opportunity for staff to identify micro-level needs regarding professional development. It’s hard to believe that 2017 is already almost halfway done. 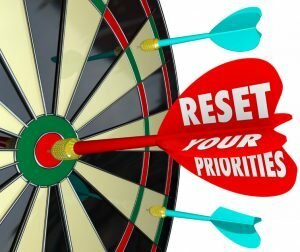 Now, comes the time to take a look back and reflect on the goals set out at the beginning of the year and realign your priorities focus on your goals for the remainder of the year and finish strong! While it may sound tedious, the number one priority for a leader approaching the second half of the year is building upon employee engagement and satisfaction. Satisfying existing employees will decrease the need for new talent acquisition. Engaged employees are happy employees, and those employees contribute positively to the overall success of the company. Defining career development initiatives and actively listening to concerns allows for employees to feel as if they can make a difference and impact on the organization. As with every industry, new technology continues to shape the way organizations conduct business, impacting systems, processes, and people. And as much as some people may be trying to avoid the technological boom, the digital age is here to stay. It is important to keep up with technical innovation and develop strategies that advance the company to competitive heights. Innovative processes and new business models may need to be developed to support the movement. However, such implementations will lead to great success in the long run and will set you apart from other traditional companies. None of these priorities are possible without satisfied employees that embrace the vision and strategy for the organization. Recruitment and retention should be a top priority leading into the second half of 2017. Think about establishing a formal recruitment strategy and hiring the talent of the future. This will significantly impact your organizational culture and create future success.